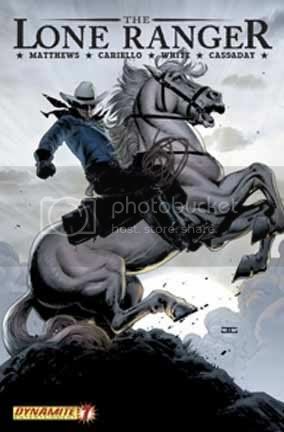 Did anyone here see the SSCHROEDER post in the Dynamite Entertainment in General....Lone Ranger cover art for issue 7...I asked cause it looks spectacular and no one here has commented. I'm gone for a week and I miss the unveiling of the #7 covers? I was very happy to see that upon my return, however. I love that Silver cover! That is sweet! The other cover peaks my interest as well. Who is the noose for? Who is the woman in the picture? What is happening next?!?! Many questions to ponder while we anxiously await the showdown of #6. 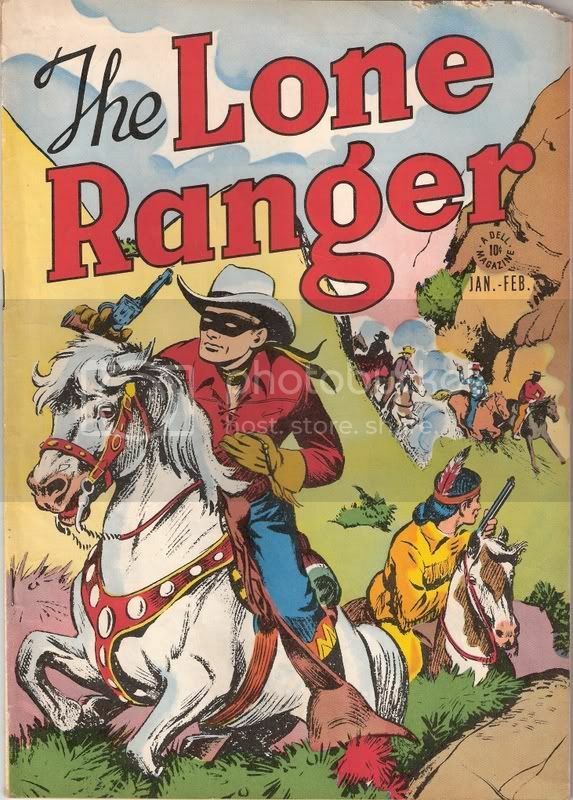 After looking at the cover for #7, I feel the way Silver is drawn is a tip of the hat to the first Lone Ranger comic. Yes, thanks for the info Joe! Finally LR 6 reason why..
We needed something official to keep Cindy's giggling to a minimum. Somebody please explain to me how the cover for #6 is not in when the FCBD cover and two covers for #7 are in. I have to camp with the conspiracy theorists on this one. [stamps foot] brokeback my aunt fannie! by the way I do have extra mint copies of issue 2 (brown jersey) issue 3 (regular) issues 4 and 5 (virgins) make me an offer! Leave it to Ranger01's totally made up sensationalized modern fangled rumor/interpretation to cause panic, crush sales and split the fanbase all in one fell swoop. At least my totally made up innocent wholesome 50's style rumor/interpretation was raising sales. BROKEBACK RANGER????? [screams loudly and hides eyes] he said naked!! no one said anything about...um you-know-what!!! as for sschroeder's riding off naked...brokeback Ranger, heebee jeebee time. so we stay in the dark about the end of this arc! "Somebody please explain to me how the cover for #6 is not in when the FCBD cover and two covers for #7 are in. I have to camp with the conspiracy theorists on this one"
Since this is a licensed project, maybe the shot of the barely alive, yet triumphant, Lone Ranger and Tonto riding together bare backed and naked off into the sunset didn't get approved immediately. Or maybe the colorist's pet money spilled banana juice all over the desk with the finished product leading them to have to start over. As it is, this is actually a thread about #7. So I'll say I like the cover with Silver better. [shakes head] unh-uh. it doesn't become an actual 'conspiracy' until you have in your hand issue #6... with no cover.